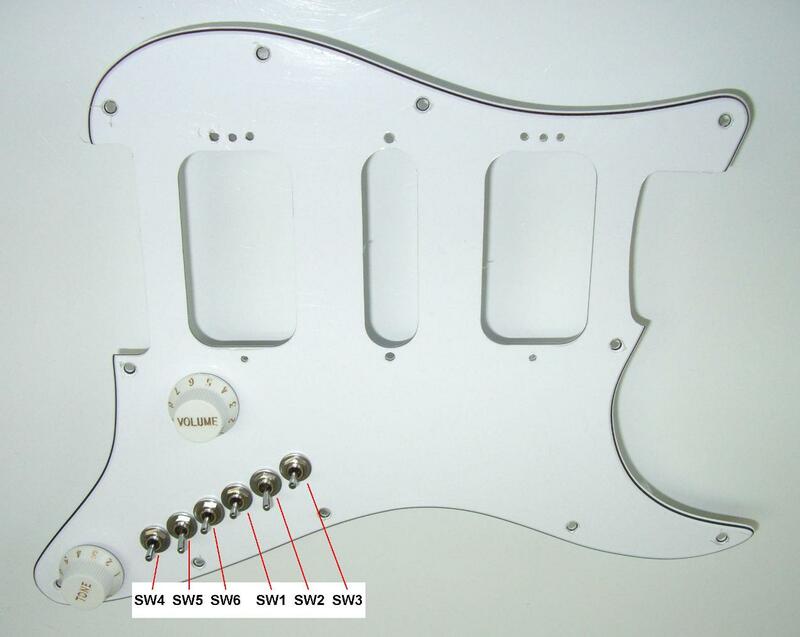 This 3-ply White Pearloid American HSH Stratocaster guitar upgrade gives you 35 pickup tones. 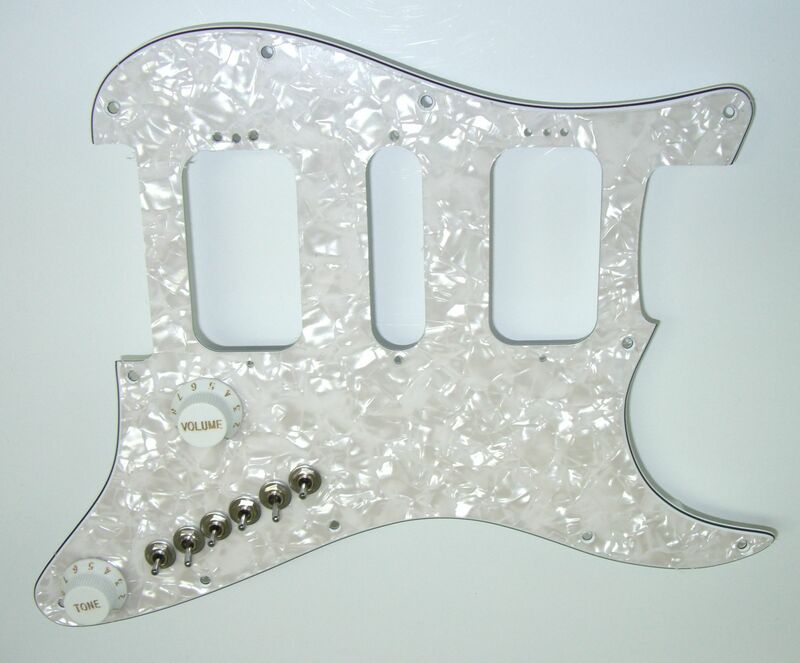 One White Pearloid Stratocaster HSH upgrade. 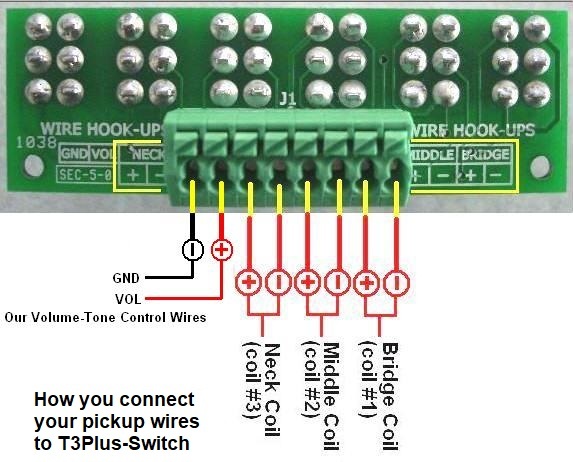 You just install your pickups, connect your pickup wires to the green solderless terminal strip and connect the two marked upgrade wires to your output jack wires to give you 35 pickup tones. 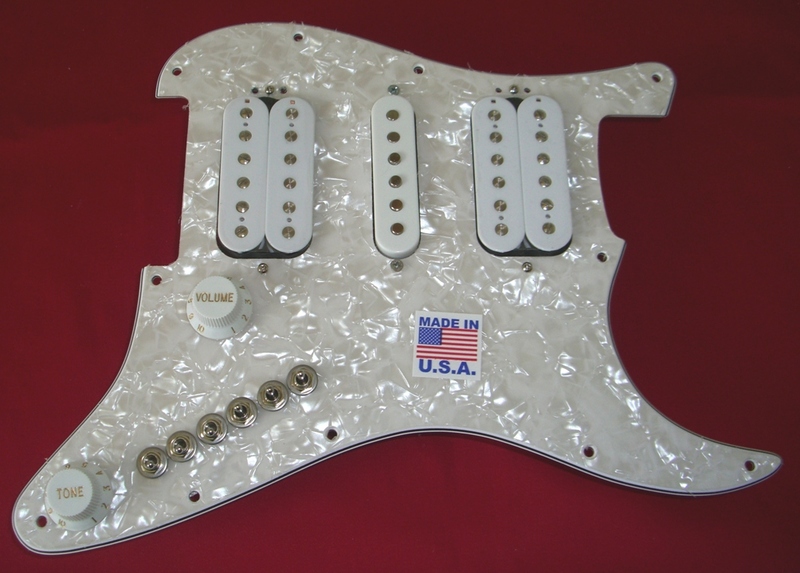 One White Pearloid Stratocaster HSH upgrade. This upgrade includes our AweSome standard pickups. You just connect connect the two marked upgrade wires to your output jack wires to give you 35 pickup tones.